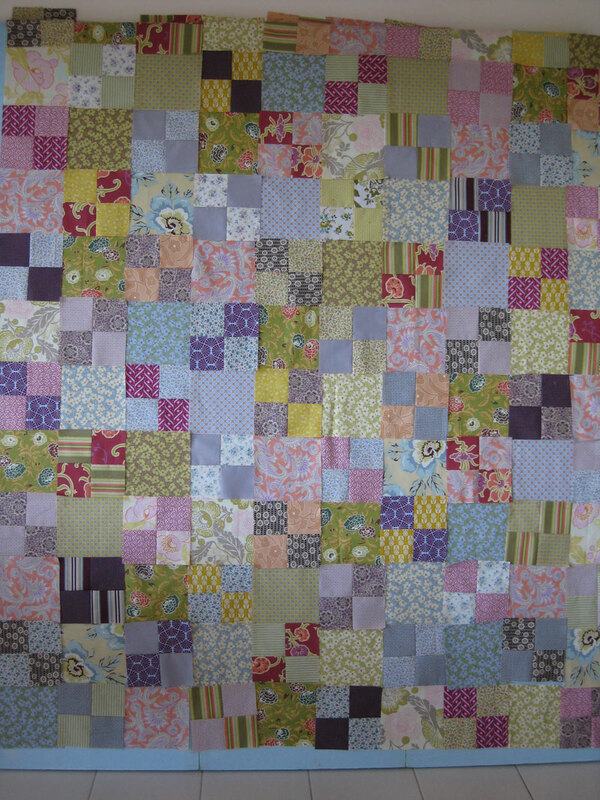 Since some time I dream of making a gypsy style quilt. 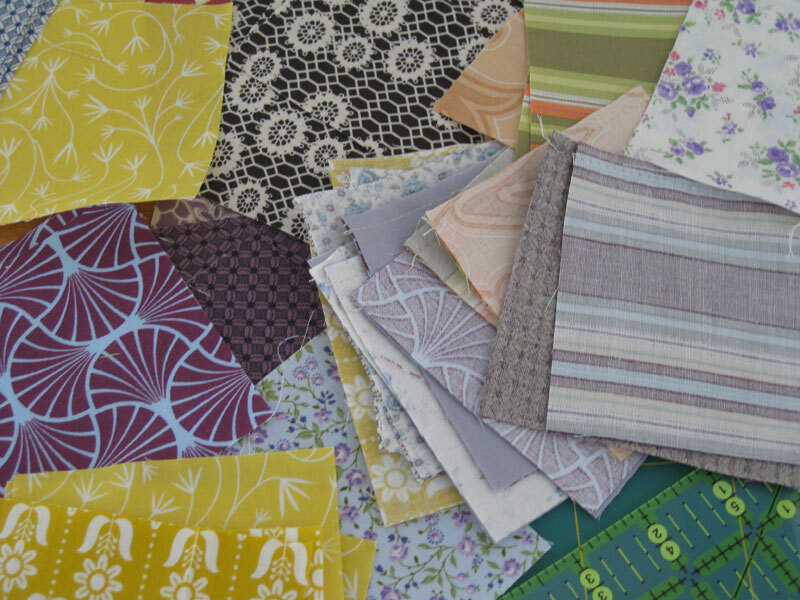 As I had not enough fabrics for such a project, I had to wait to receive them to start. 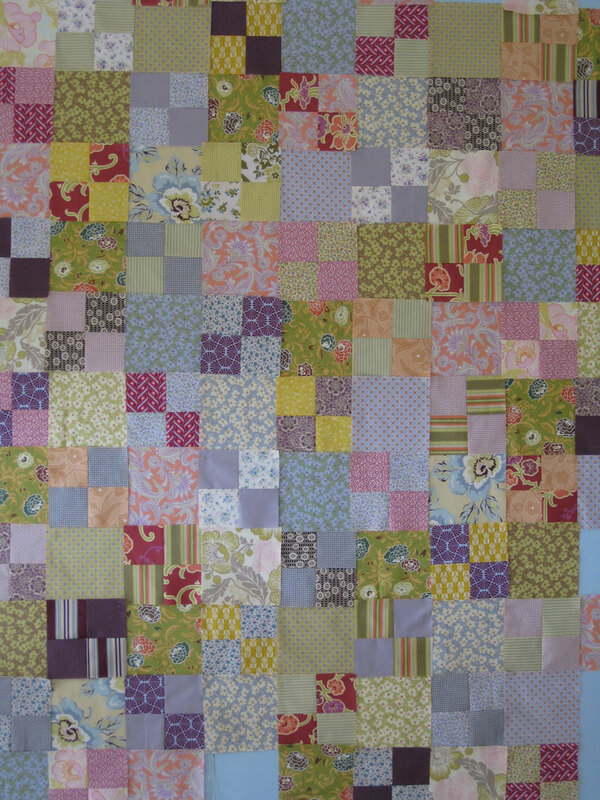 My idea was to make a soft medium tunes quilt, with some strong contrasts here and there, so that it is not boring. I wanted to give it a "random style", which in fact is everything but not random! I enjoyed playing with all these varieties of values and colors but... I suffered... isnt' it paradoxical? My fabrics arrived last friday. 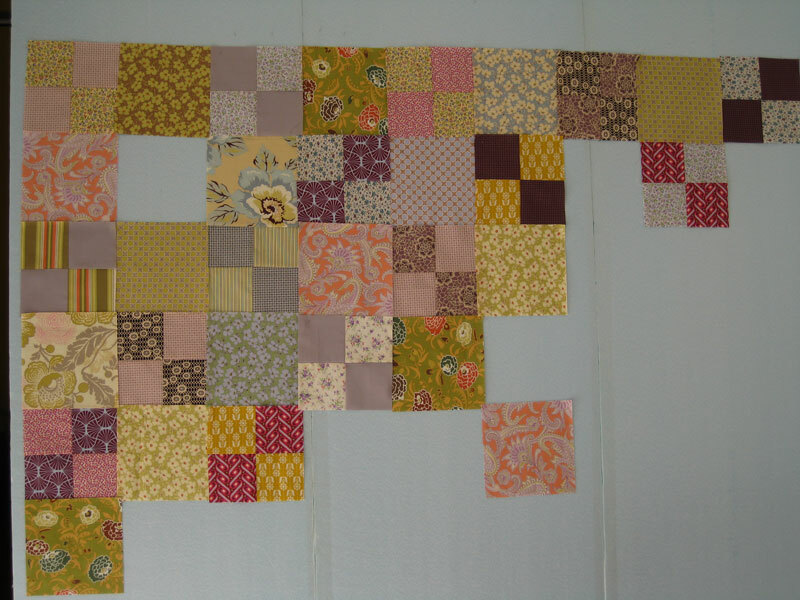 On saturday and sunday, in a sort of frenzy, I cut and sewed restless, so that on sunday evening my 120 blocks were laid out on the design board! Monday and tuesday I spent some time examining the result of all this frenzy from far, from close, from up the stairs, taking pictures... At the end, I believe that this last layout is the good one and that I should stop looking at it and start piecing the blocks together! You will see this top finished in my next post. Hope you are having a great time quilting! J'adore toutes vos couleurs ! Votre choix de tissus est fabuleux ce sera un beau quilt ! Merci beaucoup Mamifleur, je voudrais vous repondre par mail, mais malheureusement vous etes "noreply". WOW!! This quilt is going to be STUNNING!! Keep going....!! Beautiful! It's soft, yet interesting. It has movement, yet it remains calm. The color palate is very pleasing. Bravo! Stephie, like Mamifleur you are "noreply", so I answer to you here. I appreciate you kind words, thank you. Oh it is wonderful! Sounds like you are having fun playing with it and that is even better. Thanks for sharing your process and your thoughts...can't wait to see the result! Gorgeous! What a lovely combination of fabrics! Oh, you have been busy! I cannot wait to see how this progresses! 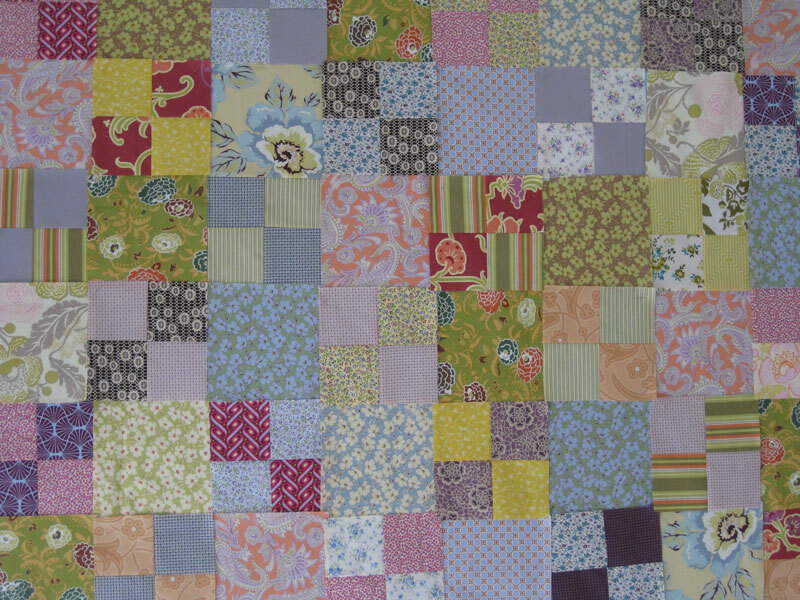 I just found your blog, and I love this quilt! 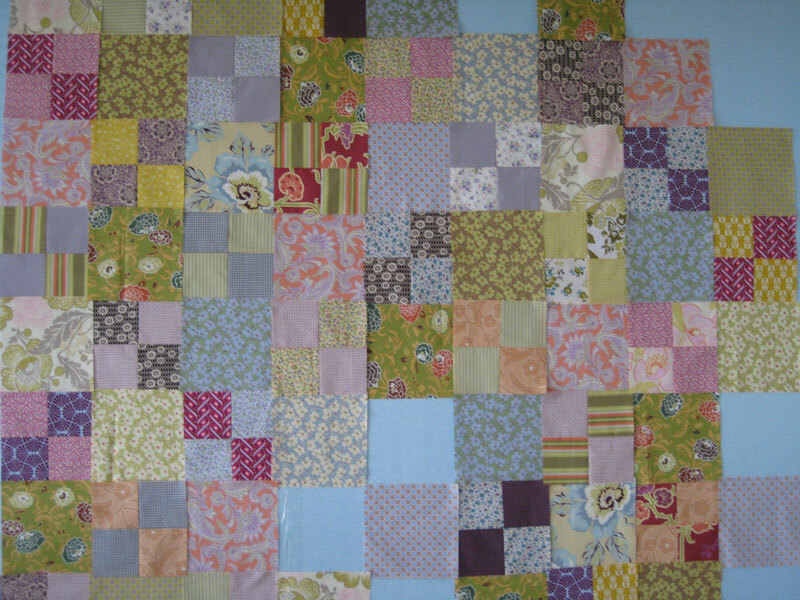 Scrap quilts are my favorite, and this one is just lovely!